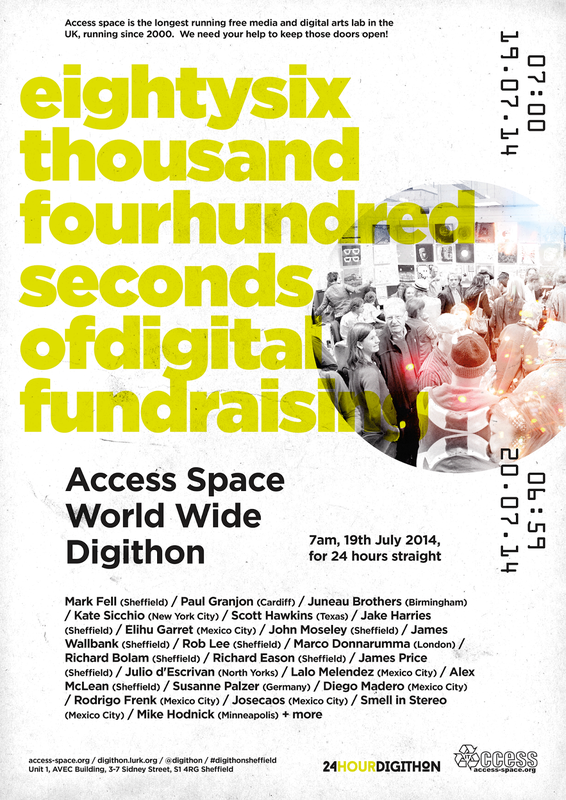 Members of TwT.network recently supported Access Space World Wide Digithon - a live streamed 24 hour fundraising event. Bringing together contributors and audiences from all over the world the exiting event helped to raise much needed financial support for Access Space - the longest running free media and digital arts lab in the UK. Access Space Digithon is now available as an archived stream and you can check out all amazing performances and contributions here. Donations are still possible! Please give generously to help Access Space do what it does best - bringing people and technology together! You can make a donation here. Thank you. - I am not entirely sure what my set will be, but I will feel the vibe I am sure. - "Space is the Place"
We, Alex McLean and Susanne Palzer, are presenting a preview of our new live coding experiment 'On-gaku' at "In the Courtyard" - a fundraising event by Bloc Projects, Sheffield - this Saturday, 6.35pm. Our first collaboration at OPEN PLATFORM_4 explored "binary transmission" through the act of stepping on and off a platform (Palzer) and knitting (McLean). With 'On-gaku' we are building upon this work by presenting a new audio-visual connection between our performance and live coding practices. Alex will also later live code some music for barbecues, in the algorave style if the mood is right! With thanks to John X. Moseley for additional technical support.